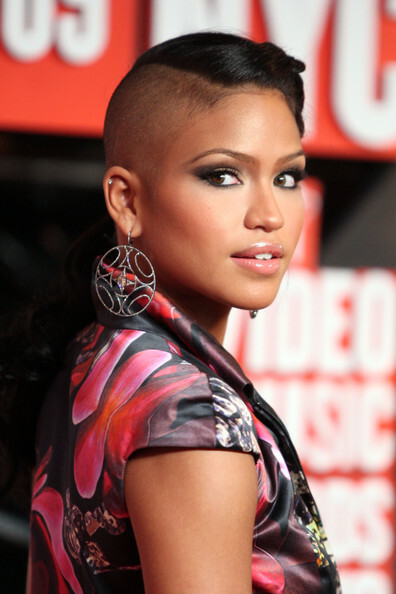 2012 Cassie’s Hairstyle – Hate it Or Love it? Here are some of the Best Hairstyles that has inspired me to keep rocking this awesome Hair-Do..
Cassie is so a head of her times in so many ways! This Bold and Daring Half-Shaved Head Hairstyle is now a new trend for girls all around the world. She’s the only one that can pull off such a Hard Edgy look and make it Effortless. Paint a picture. Never rely on commonalities of creation. Be you & be unique. Someone will someday thank you for it. An artist see the world is an endless canvas begging to see new colors and visions expressed. I think that there’s a fine line between being wild and being classy. I walk in between that line. Even with no designs on her hair, I love this clean shaved cut! It opens up her face and enhances her true beauty. This is your life. Live like it. Love like it. Nothing else to it. Cassie Reckless & Arrogant or Daring Genius? CAST YOUR VOTE!